Your creations can smell as good as they look. 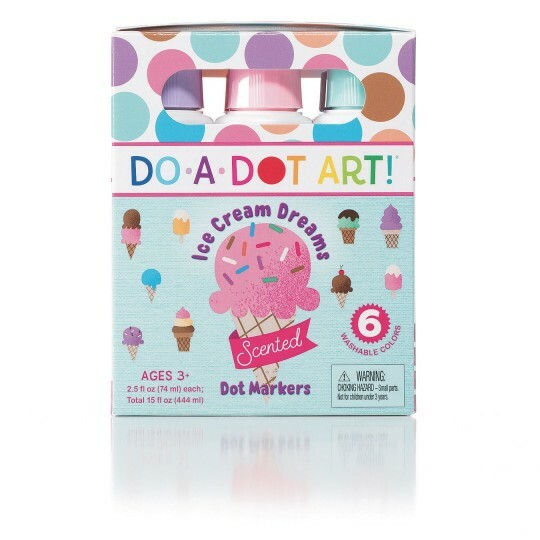 The original sponge-tip markers that are so fun and easy to use now come in scents! 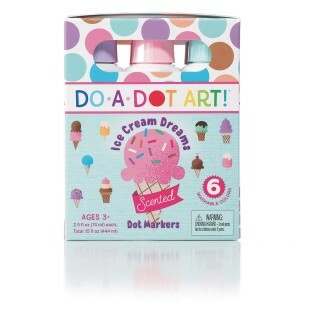 No cups, no brushes, no mess and spill-proof. Non-clog formula. 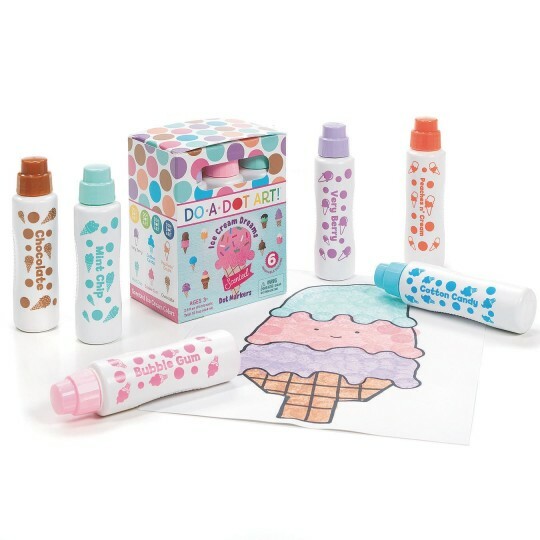 These colorful, scented Do-A-Dot™ markers feature a twist-off-top with sponge-tip applicator and a variety of mouthwatering scents. 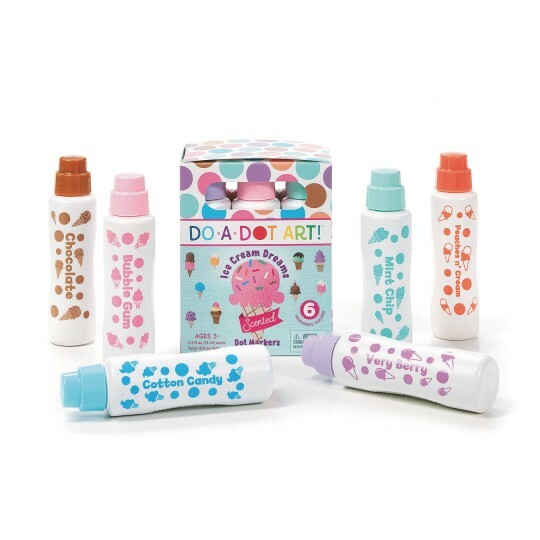 Now your creations can smell as good as they look. Conforms to ASTM D-4236. Comes with idea guide. 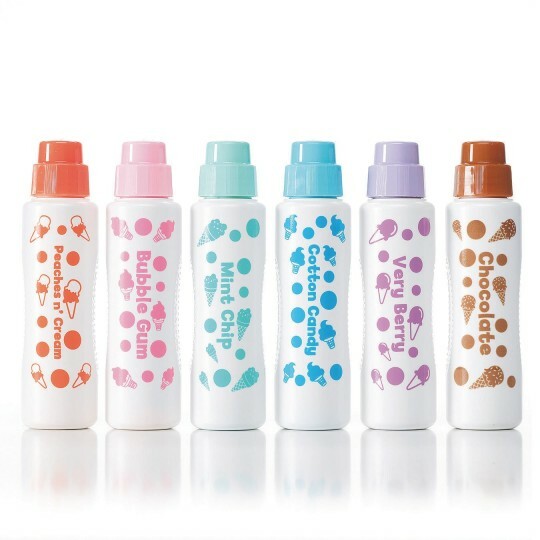 Scents include Very Berry, Cotton Candy, Peaches 'n Cream, Mint Chip, Bubble Gum, and Chocolate. Washable and non-toxic. 2-1/2 oz each. Pack of 6.